In November 2018, voters in the state of Washington approved Initiative 1639, an omnibus gun control ballot measure that included a range of provisions. It was the most ambitious gun control ballot measure in the history of Washington State. And when the calendar ticked over to 2019 on January 1, one important element of the proposal – increasing the minimum age for legally purchasing a semi-automatic assault rifle from 18 to 21 – went into effect. The National Rifle Association and other gun rights groups have already filed a lawsuit claiming that the age restrictions violate the Second Amendment. 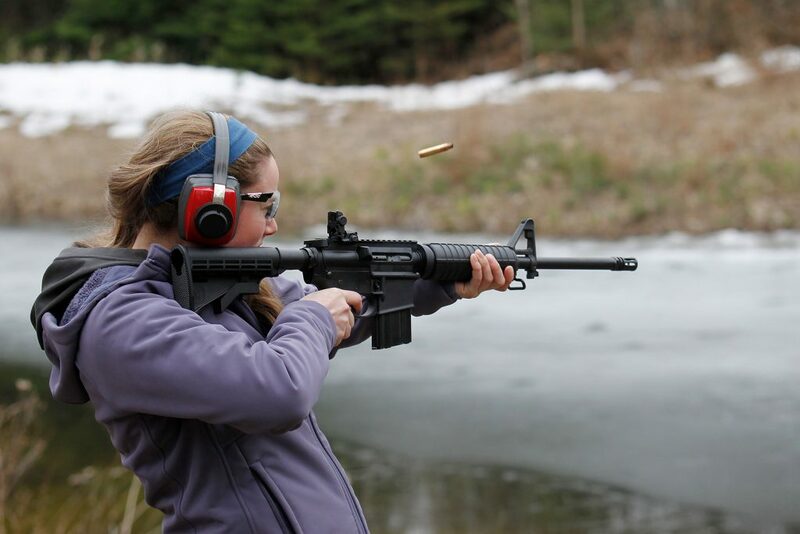 A safe storage provision creating misdemeanor and felony classes for the new crime of “community endangerment.” Gun owners could be charged if a child or someone not legally allowed to possess a firearm accessed their (legally purchased) weapon. However, gun owners cannot be charged if they keep their guns locked away, even if someone manages to get a hold of the gun. And the community endangerment charge won’t apply if the gun is acquired through illegal entry (such as someone breaking into the owner’s home and stealing the gun), provided the owner reports the theft within five days. Initiative 1639 was introduced in reaction to the tragic massacres in Las Vegas, Parkland and elsewhere in the country. The citizen sponsor was the father of a teenager who was shot and killed in 2016 by someone who had purchased an AR-15 a week before. Initiative 1639 passed easily, with 59.4% of voters casting a “yes” vote on the measure. However, that was not the end of the story. While Washington is accurately thought of as a blue state (Washington has voted for the Democratic presidential candidate in each of the last seven elections, and Democrats possess unified control of the state government), that label obscures more complicated political dynamics. Like many blue states, Washington has an intense urban-rural divide, with the the deeply progressive and heavily populated Puget Sound area providing Democrats with enough votes to overwhelm Republican strength in the more rural eastern part of the state. In the case of Initiative 1639, a majority of counties in Washington actually opposed the measure. However, strong support in the Seattle area easily passed the measure – in fact, King County, where the city of Seattle is located, provided Initiative 1639 with much of its final margin (slightly under 600,000 votes). The dominance of the Seattle area in Washington state politics has engendered some resentment in less-populated areas, and law enforcement officials in more conservative Washington counties immediately registered their opposition to Initiative 1639. Sheriffs in Adams, Benton, Cowlitz, Franklin, Klickitat and Spokane County all announced they were opposed to the measure. In late January, Adams County Sheriff Dale Wagner said he would not enforce Initiative 1639, saying it violated the US Constitution. It was an argument also made by the NRA and the Second Amendment Foundation when they announced a lawsuit designed to strike down the initiative’s provisions. Opponents briefly had success in keeping the measure off the ballot for procedural reasons, but the state Supreme Court overruled a county judge’s decision blocking the initiative. The two groups allege that Initiative 1639’s age restrictions violate the Constitution and unfairly classify ordinary guns as “assault rifles.” In addition, opponents claim the initiative’s provision will prevent individuals between the ages of 18 to 20 from defending themselves. Unfazed, Democrats in Olympia have advanced more gun control legislation in the new legislative session. A committee for the state House of Representatives recently passed two gun control bills, sending them to the full House. One would ban ammunition magazines with a capacity larger than 15 bullets. Another would require law enforcement officers to seize guns and ammunition and hold them for at least five days when they are called to the scene of a domestic violence incident.